6Sigma.com also offers Certification and Training courses in Perth, Australia: Lean Six Sigma, Design for Six Sigma, Green Process Management and Minitab. 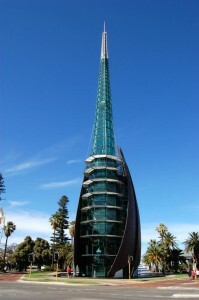 Perth has a population of 1.97 million and is the fourth most populous city in Australia. Perth serves as the hub for its role as the administrative centre for business and government, dominating the Western Australian economy. Major mining, petroleum, and agricultural export industries are also located throughout the city. Perth’s economic base and population size have also created development opportunities for many other businesses and has created a steady stream of economic advantages and jobs for people. The unemployment rate in Perth is 2.6%, and although it doesn’t seem like much, for the people of Perth, this percentage is a constant measure that their unemployment is on its way. Most of Western Australia is already singled out as having the highest unemployment rate in Australia which is creating a big problem for the economy. Statistics show that the unemployment rate in Western Australia is at a 10-year peak, with all signs pointing towards continued increase. Many companies in Perth are now giving special attention and implementing special programs to better their services and progress for business development. Among the many methodologies being employed by organizations today for business process improvement, Lean Six Sigma continues to be highly regarded and is incorporated by organizations globally, even after nearly 3 decades of its inception. Can Lean Six Sigma White Belt Training Help Me Find a Job? Lean Six Sigma White Belt training is being provided to employees all around the world. If you, as a potential candidate, apply for a job with a Lean Six Sigma white belt certificate to your name, not only will it set you apart from the rest, but it will also raise you in their eyes as a senior member among the employees. More than experience, one must know how to manage major projects and help with company development. Lean Six Sigma white belt is more than just a doctrine; it is a path that paves the way to success for organizations. With the global economy on the downturn, using smart methods to remove defects, our company can iron out any problems a company may have. Today, organizations are conducting Lean Six Sigma White Belt training at the workplace for their employees, and many have reported significant improvements in the bottom-line as a result. A Lean Six Sigma White Belt certification can be seen as a key to a better job, since the methodologies used in Six Sigma apply to multiple situations and projects. A Lean Six Sigma white belt certified employee usually earns twice as much as one without the certification, and with the right exposure and application of Lean 6 Sigma principles, can come out as the top employee in the company of their choice. 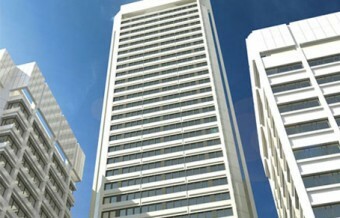 The office space in St Martins Tower, Perth is in one of the tallest buildings in the city. Located in the middle of Perth, it is in the business and retail precinct of St George's Terrace, one of the most sought after addresses in the city. The building is popular with legal firms, mining and financial services companies while also hosting a wide variety of other tenants.